It’s something I’ve thought about a lot. Living in Las Vegas, I saw many people let loose from their normal self-restraint, and watched as they deviated from the character they were, or pursued things far different than what they claimed to value back home. I have a series of tattoos on my left leg. 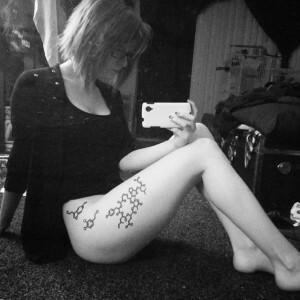 The molecular structures for serotonin, dopamine and oxytocin. They remind me that I am a bunch of chemicals and chemical reactions. I am also someone influenced by culture, led by various philosophies, and experimental with ideas. One of the most important questions to consider, I think, is do we really want what we can’t have, or simply what we don’t? Exactly how strongly are we compelled towards things we know are completely impossible, whereas how strongly do we desire things that are achievable, but perhaps require further work to make it to our reach? I often tell my friends that “I want” is a useless phrase to me. If I want something, I pursue it, and the phrasing I’ll use will reflect that. I’m working towards something, I’m doing something. If I am not currently moving in a direction which is towards it, I don’t want it hard enough, in fact, I may not want it at all. Sure, there’s a part of me that would like to be a famous singer, or a model. I’m not pursuing either of those things, so I won’t tell you that I really want to be them. I consider often if I really want to be a writer, since I don’t write half as much as I should. There is however, a distinct dissatisfaction most of us experience with what we currently have in comparison to what we want. For some, this is tremendously motivating. The great accomplishments of recent generations, of Bill Gates, Steve Jobs, Mark Zuckerberg, Elon Musk – these are people who are (past tense for Jobs) never satisfied with their percentage of the market share or the riches they’ve already accumulated, they’re constantly challenging themselves. They must continue creating better. Making better. Being better. We all want something to chase. It makes us alive, it makes us engaged in our environment, it keeps us from stagnating and becoming complacent. But why? There is a case to be made that most people have been improperly raised for happiness and self-actualization. That the most common upbringing is rooted in psychological behaviorism, which can separate us from our intrinsic motivations for things. We become manipulated by our environment and thus manipulate our environment, with external rewards and punishments developed without respect to our intrinsic motivations. If we’ve never been properly in touch with our actual desires, how can we accurately identify them to pursue them, own them and be satisfied with them? Then there’s chemicals. My dearest dopamine. A hormone and neurotransmitter best known for giving us feelings of “pleasure”. There’s a depth of dopamine many people ignore. Dopamine is not only present in positive stimuli, but negative. Our bodies produce dopamine while anticipating something. Dopamine levels spike during a Post-Traumatic Stress Disorder episode, not just when we’re excited for a visitor or special occasion. We see dopamine levels jump when watching cliffhangers of television shows, which is why we became addicted to shows like LOST and Breaking Bad. We are literally chemically dependent. 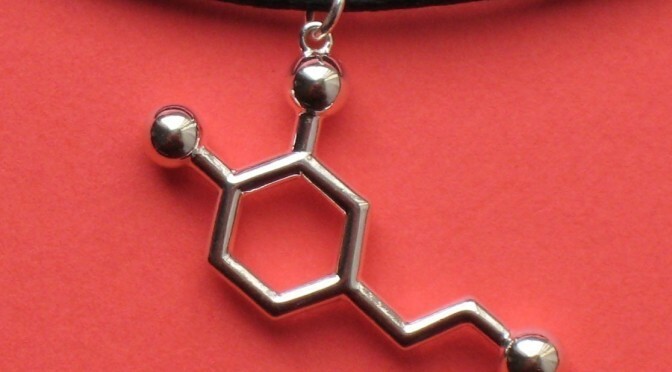 Dopamine has become a bit of a ”secret” within marketing. From a chemical perspective, we seem to do best when anticipating an action and its related rewards, receiving an expected reward, and learning of and anticipating a follow-up action and reward. That anticipation drives us, gives us pleasure. We want what we don’t have because it’s necessary for our very motivation – because we’re biologically, psychologically and environmentally engineered for wanting. That’s how we achieve. I think I took that photo. Avens you are still one of my favorite interactions from BM 2013! Its been great fun following you since then.